Stillpoint Aromatics Organic Aloe Vera Gel is an extremely stable Aloe Vera Gel with a pourable consistency. This particular gel is created by hand removing the inner fillet of whole Aloe Vera leaves, and then it is cold pressed and further filtered to produce a clear and consistent Aloe gel with a well rounded, and fresh odor. It is a naturally ground product and may contain small pieces of pulp within the gel. 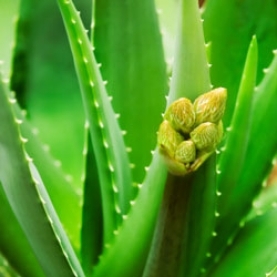 rich in polysaccharides, they give aloe its wound healing and anti-inflammatory properties. can accelerate the healing of mouth ulcers.In a 7-day study of 180 people with recurrent mouth ulcers, an aloe vera patch applied to the area was effective in reducing the size of the ulcer and reduce the pain caused by them. Ingredients: Organic aloe vera, natural preservatives of Potassium Sorbate, Ascorbic Acid, Citric Acid and Xanthan Gum.